Often times, the reintegration does not go well, as the children are being sent back to an unsafe situation for one reason or another. Because of lack of resources and education in the Children and Youth Services offices (DINAF), we sometimes receive the same children into our Crisis Care Center because they have been re-victimized at the hands of family members. Unfortunately, we are not often able to participate in the decision making for children, and therefore the fate of the children we serve is largely out of our hands, but we trust that God is in control and recognize that the best place for a child in most cases is with their biological family, even if they cannot provide as many opportunities for them as their foster family. At Legacy of Hope, we count ourselves privileged to love these children, to pray over them and to plant seeds of hope for the time that we have been given with them. So far, two of our babies have been reintegrated with extended family members, and although transitioning a child whom we love deeply out of our care and into another’s is the hardest thing we have ever done, we have seen the blessed outcome of one of those cases. Tyler and I love taking the newborns, but one of the hardest things about this privilege is that we are never able to see them grow up; never get to see their little personalities emerging or enjoy the older milestones. 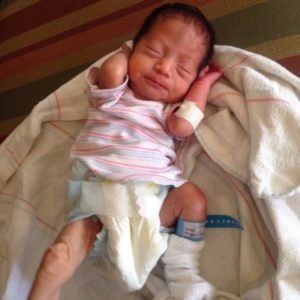 But recently we had a taste of that when we had the blessing of seeing our first foster baby boy again. 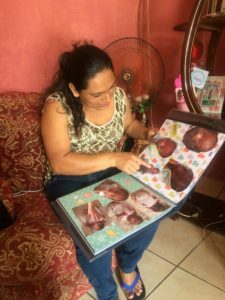 Tobias was abandoned by his mother at birth, but had been reintegrated with his aunt and uncle at the beginning of June, when he was about 3 months old. While we were in the States for a visit that summer, I had begun creating a baby book from pictures we had taken over his first few months. The goal was to give the album to his new family so they could share in those precious memories, and so that Tobias could know that part of his story as he gets older. 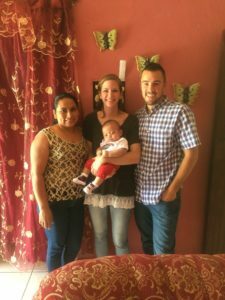 Many children that grow up in broken systems and orphanages have no idea what they even looked like as a baby/child, so we were thrilled to be able to provide that window into his first months. And when we visited, he was a whole 5 months old, and thriving! When we entered the house, the first thing I noticed was graduation photos on the wall. The tía (Aunt) told me that those are her daughters, and they are now in studying at the university. You have no idea how excited I was that Tobias would have access to the same opportunities! The next thing I noticed was little Tobias. Although, he was not so little anymore! When the Aunt and Uncle picked him up at the DINAF office, the social worker said to her “good luck getting him to gain weight.” And she took that as a personal challenge! Today, he’s fat and happy. I had prepared my heart for a very difficult visit–to see the baby boy I had loved for the first months of his life in a poor situation–but it was not! 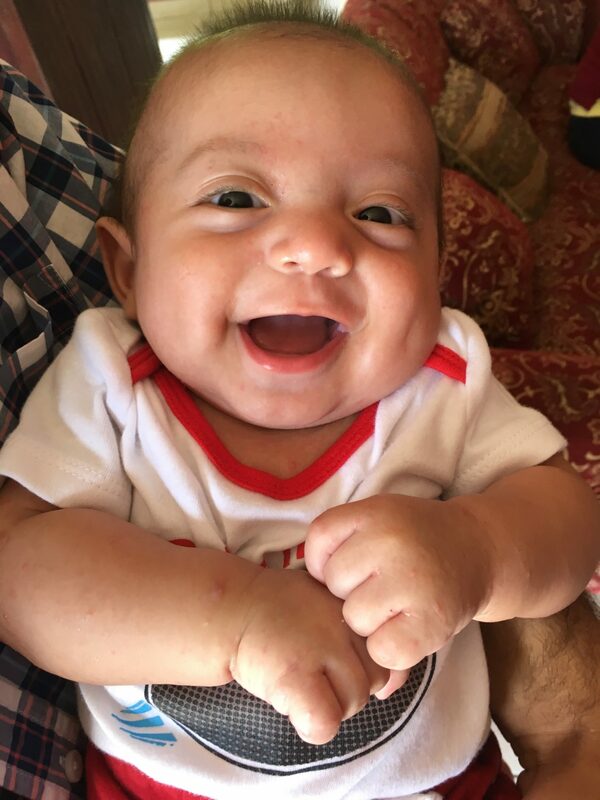 I praise my Lord that he has seen fit to bless sweet baby Tobias with a wonderful home and family for the rest of his life. And count myself beyond privileged to have stood in the gap for him when he needed it most. Caring for the widowed and the fatherless is a call from God, and we all have a responsibility towards that, whether it is taking a child into your own home, supporting those who do, or using your God-given skills and abilities to care for them in other ways. Consider what you can do in your town. Consider what you can do around the world. Consider partnering with us here at Legacy of Hope Foundation in Honduras.